FAC 51 The Haçienda architect Ben Kelly, the design team of Ben Cox and Bill Holding at Morph have collaborated with the full approval and support of original owner Peter Hook to produce two separate, limited edition art prints of the original FAC 51 The Haçienda which are to be launched at Buy Art Fair at Urbis, Manchester from the 24th to 27th September 2009. The prints will subsequently be exhibited at the Zoo Art Fair in London from 16th to 19th October. At both exhibitions, they are exclusive to the Paul Stolper stand. 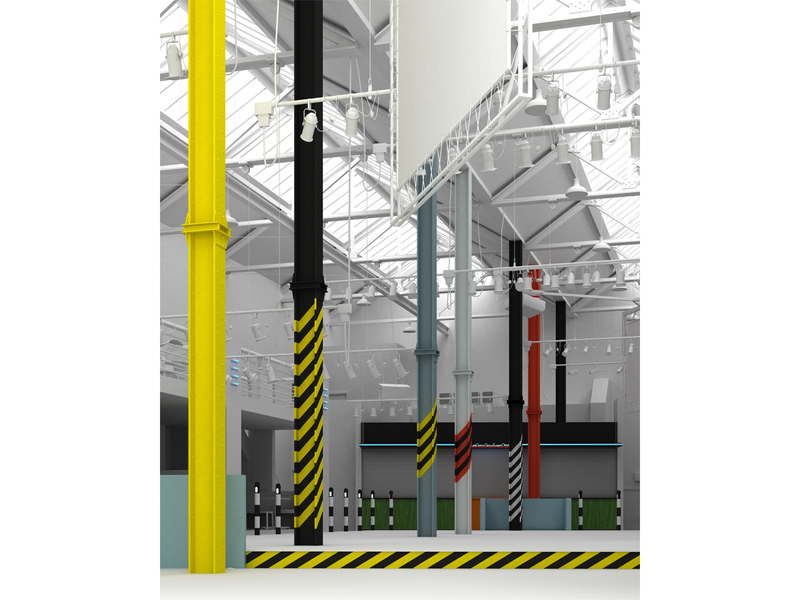 As FAC 51 The Haçienda has been beset by a number of unofficial and bootleg artworks which consistently fail to match the design standards set by the club, it was decided in early 2009 to produce this set of two art prints marking both East and West views of the original venue. This is the first and only time to date that FAC 51 The Haçienda has published any fine art prints of the club and marks an opportunity for art collectors to purchase exclusive and limited edition screen prints, officially endorsed by FAC 51 The Haçienda. 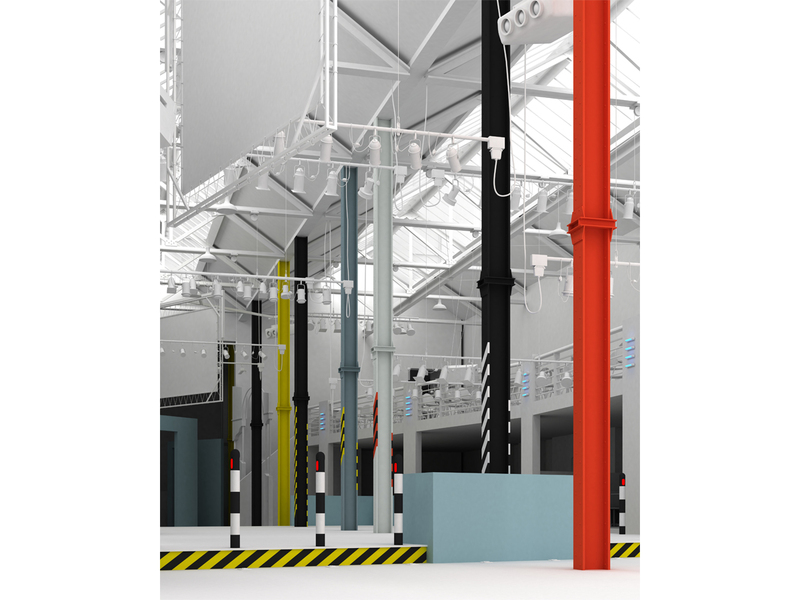 The project initially came about when Ben Cox and Bill Holding from Morph approached Ben Kelly in February 2007 about rebuilding The Haçienda as a digital model, requiring the original specifications from Ben who was happy to oblige. It was then decided to produce two fine art prints from the digital installation, namely an east-side and a west-side view of the club across the dance-floor, showing the heroic scale and cathedral-like quality of FAC 51’s interior which has served to make the club so legendary and longstanding in the memories of those who were lucky enough to attend. The prints have been named “The Hacienda Interior West” and “The Hacienda Interior East”. These high quality silkscreen prints have been produced to the highest specifications by Coriander Studio, Fine Art Print-makers and Publishers, one of the world’s leading art print manufacturers whose client roster also includes Damien Hirst and Sir Peter Blake. Each print is part of a limited run of only 150, making a full run of 300 across both prints and is printed on 410 gsm Somerset Tub paper. The image sizes are 615mm x 765mm on a paper size of 742 x 905 mm. All prints will be signed by Ben Kelly and Morph whilst an additional signed provenance on the artwork will come from Peter Hook. The prints are to be represented exclusively by the Paul Stolper Gallery and can be viewed online at his website, www.paulstolper.com with all contacts contained therein. The prints are to be initially launched by the Buy Art Fair at Urbis, Manchester, 24 – 27th September 2009. The first night preview is on Thursday 24th September from 5pm to 9pm and Ben Kelly, Morph and Peter Hook will be in attendance on the night. The prints will also be exhibited at the Zoo Art Fair in London from the 16th to 19th October which takes place the same week as the Frieze Art Fair.